Dimming your glow just to just fit in only hurts you, so why not shine on? We are slowly coming to the end of the series, with just four interviews left. This has been an incredible journey, allowing me to learn something new with each woman’s story on being carefree. You know those instances where you go to the same school with someone years back and you do not see or hear about them until you come across them on the internet? That is one thing I enjoy about how small the internet makes the world. This is my story with today’s carefree Pan-Afrikan woman, Uwase Gahizi. Uwase was born in Burundi, raised in Kenya and Rwanda and currently lives in Michigan, US. She recalls that her close friends make jokes about her nomadic life but says it is what made her a lover of all cultures. Thank you for joining me today on our discussion on being carefree as an Afrikan. Can you tell us about what being carefree means to you as an Afrikan woman, and how you locate this ideology/lifestyle in the cultures that you are a product of? Being carefree to me, means loving yourself in all ways; be it physical, emotional, or spiritually. It means not being afraid to show the world who you are and most importantly feeling free within. 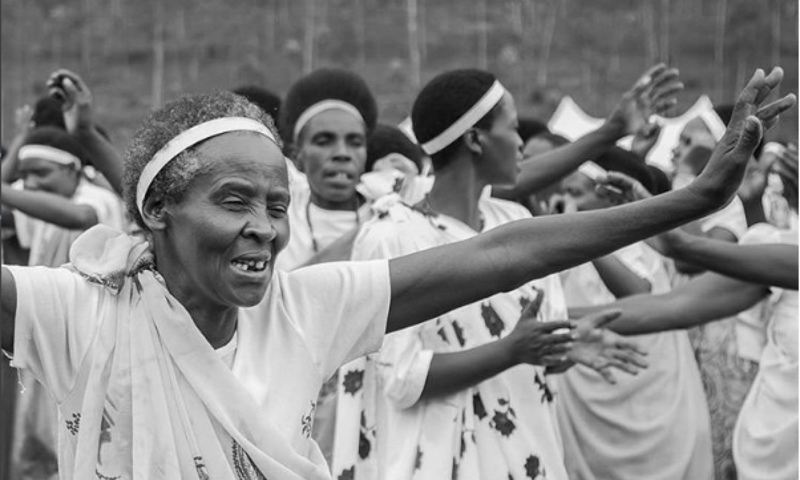 Coming from a somewhat conservative culture in Rwanda, it’s hard being “carefree” especially for the women. There is a certain way one is expected to act, dress and talk for society to see you as a fit woman. Dimming your glow just to just fit in only hurts you, so why not shine on? That’s what makes you, you! That is what differentiates you from the rest! For those of us living away from the motherland, we live between a thin line when it comes to culture and self. I believe it is important to have umuco (culture) and know your roots. Always celebrate it because the west will strip that away from you if you do not have a strong cultural background. But it is just as important to know yourself and be firm in who you are. To celebrate culture and being your carefree self is not mutually exclusive. You can celebrate culture, you should do this- and you can do “Care-freely”. That is an important lesson on finding an important balance of our identity. I am still learning. So tell us Uwase, what are some ways you incorporate being carefree in your life? I still need more practice on this but I find speaking my mind is the most freeing thing ever. You cannot go wrong with that! Spreading good vibes always works too. It could be through doing what I love and sharing it.. I love looking at art, doing art, and wearing art!! Heart to heart conversations with people and always keeping in mind that I am listening to understand, not listening to attack. We may never have the same view on certain things but we may learn a thing or two from each other if we let our guard down and actually listen. I believe being carefree is an ongoing process so the fact that you are actively finding more ways to practice being carefree is phenomenal. How did you get on this journey of being carefree? Being away from home for a minute got me out of my comfort zone and gave me chance to practice what my mama preached. And while doing this, I was learning about myself, independence, my strength, weaknesses and loving every moment of self discovery. I learned that it is beautiful to be different. The moment I accepted me, I developed that carefree attitude because I no longer felt the need to hide my true self in order to fit into what tradition or society deemed fit for a girl like me. What would you tell the your younger self? I would tell her that she is in control. Life is beautiful but what makes it worth living is you, your perception of it, how you choose to feel in every situation. You always have a choice! You mentioned that you love and live art. Can you tell us more about that and whether it reflects your carefree Black Girl Magic-ness? Art is my escape! I love museums. I paint, and love capturing beautiful moments or things through pictures (mostly using my phone). I find that when I paint or color.. the colors I end up using usually reflect my emotion at the moment. The same goes for my wardrobe or make up choices. Darker colors, to me, portray elegance, power, confidence and sometimes sadness. The brighter colors portray newness, boldness and happy feels.